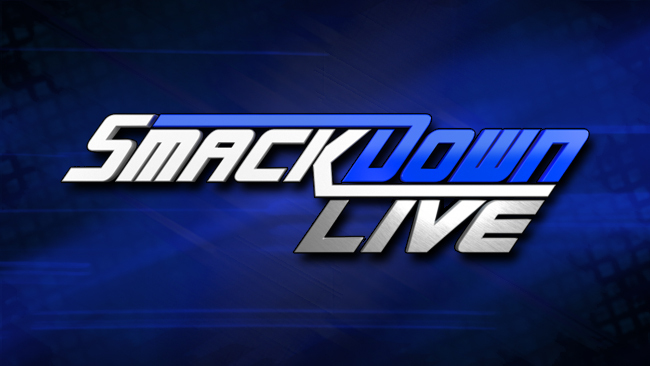 Its time for this weeks Smackdown Live review. The Maharaja shocked the world this past Sunday at Backlash when he walked out victorious and became the new WWE Champion. This episode of Smackdown will be the first one with Mahal as champion. It will also feature all the other fallout from this past Sunday’s event. What’s next for the Women’s Division? The next Smackdown Live PPV is Money in the Bank, will we get any information about the match or participants? Will Breezango’s push come to an end? Whats next for Owens and Styles? Will Randy Orton look for revenge on Mahal? Whats next for Shinsuke Nakamura? Lets find out. Smackdown comes to us live from Huntington Centre in Toledo, Ohio. – Smackdown begins with the new WWE Champion Jinder Mahal coming out of a limousine all suited and booted with a big smile on his face. I just realized that Jinder Mahal is the 50th WWE Champion in the history of the title. Shane McMahon is out to start the show. The Commissioner announces that Randy Orton has invoked his rematch clause, and will face Jinder Mahal for the WWE Championship in four weeks at Money in the Bank. The crowd responds with a mix of lukewarm clapping and boos. Shane also announces that there will be five participants in this year’s MITB ladder match, and introduces them one by one. They are: AJ Styles, Baron Corbin, Sami Zayn, Dolph Ziggler and… United States Champion Kevin Owens? Shane tells the production truck to kill his music, and says that Owens knows he isn’t in the MITB ladder match, and introduces the actual fifth man, Shinsuke Nakamura. After all five have made their entrances, Kevin Owens gets on the mic and trashes McMahon for his decision-making. He says that he understands Nakamura and Sami being in the match, because they won their matches at Backlash, but it doesn’t make any sense that Styles lost to him and the U.S. Champion has been overlooked. Owens says Shane is just jealous that he did what he couldn’t do at WrestleMania, beat AJ Styles. McMahon thinks about it, and decides that he’s right, and adds Owens to Money in the Bank. Baron Corbin tells him to stop talking – his mic isn’t working, so he takes Kevin’s mic; nice move. He tells everyone that they don’t have a chance, and they should just lower the briefcase now and hand it to him. AJ Styles is done listening to everyone. He asks if Corbin is done huffing and puffing, so he can continue blowing, then calls Kevin Owens the Eric Cartman of Smackdown. There’s a brief face-to-face with Nakamura which gets everyone excited. Sami Zayn tries to talk but is cut off by Corbin, and they go back and forth. Owens tells them to shut the hell up, which brings in Dolph Ziggler to tell them all to shut up. He brings up that he’s the only one in the ring who has actually won Money in the Bank, and he’ll be damned if he doesn’t do it again. Last up Nakamura, and the crowd starts chanting his name as soon as he pics up the microphone. He introduces himself for those who don’t know him, but says they can all refer to him as Mr. Money in the Bank. This was a great opening segment that really built anticipation for the Money in the Bank match. I still feel like somewhere down the road we’re going to get a Kevin Owens and Shane McMahon match. I hope when it happens its street fight. I loved how everyone got a moment to speak and there were teases of future feuds. The segment set up two matches for the night as well. It’s still so weird seeing Nakamura on the main roster, but in a good way. I like it. In a short but competitive match Becky Lynch and Charlotte defeated Carmella and Natalya whenBecky tags back in and dropkicks Natalya from the ring, but runs into forearms from Carmella. Ellsworth gets up on the apron, but Becky knocks him down and locks in the Disarmher for the submission victory. This was another decent TV match with a chaotic finish. The heels prevailed on Sunday and tonight in a tag match the babyfaces prevailed. Hopefully they move on from this Welcoming Committee vs. Charlotte, Becky and Naomi angle. Lets put the focus back on the Smackdown Women’s Title. It’s been a long time since we’ve seen Becky Lynch and Charlotte team up and it was pretty cool to see tonight. They could be the Mega Powers of the Smackdown brother. In a very quick match which had Corbin control at first tossing Sami across the ring but Sami rolls him for the victory. Following the match an angry Corbin attacks Sami, tossing him to the floor and then into the crowd. Corbin then lays Sami on the barricade and rains down with punches. Sami is stretchered out. What?! I don’t know what they’re doing with Baron Corbin but it surely doesn’t look good for him. Although on the underdog its been making Sami Zayn look good and they seem to be giving him wins unlike when he was on Raw. Corbin attacking could be a sign of character development or it could just be the WWE feeding Corbin losses before he redeems himself with a big win such as the MITB. I don’t want to see him win that though. – AJ Styles finds Shinsuke Nakamura backstage in the locker room, and brings up the history between them. He says they’ve done it all from Osaka to Tokyo, but for the first time ever they are partners tonight. Nakamura says they are partners tonight, but at Money in the Bank he will take the “house that AJ Styles built” and turn it into his playground. – There is a new Fashion Files segment and its teased as the possible final one.Shane McMahon is in an office backstage looking at all the weird stuff Breezango has on their bulletin board. Breeze notices that Shane has shaved his mustache, which he never had. They say they need to turn over their badges after losing to The Usos, because they’re a disgrace to the depeartment. McMahon asks if they know they’re not real cops, to which Breeze puts his head in his hands and says “that’s what my father keeps on saying”. They ask if they have to hand over their guns, then put “loaded” water guns on the desk. They both start stripping upset with themselves. Shane has no idea what’s happening, but announces that they will be in singles action tonight. Fandango grabs a doughnut on the way out. A drummer and bhangra dancers do a routine prior to the entrance of The Maharaja & WWE Champion makes his entrance. The Singhs arrive first, and then Mahal, who is sporting a spiffy suit. Mahal says the crowd can hate on him, but in India, 1.3 billion are celebrating his victory. He’s booed because he looks & talks different, but now they boo him because he exposed them for fools when he defeated Orton. 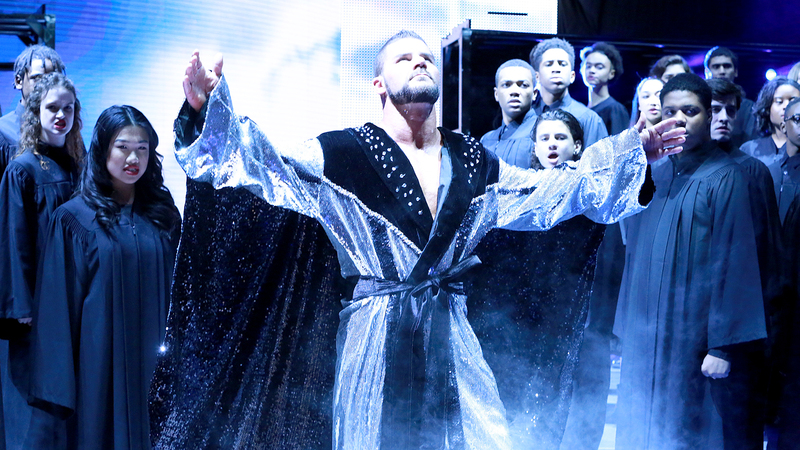 He enlightened them all, Orton is like American, on the decline. 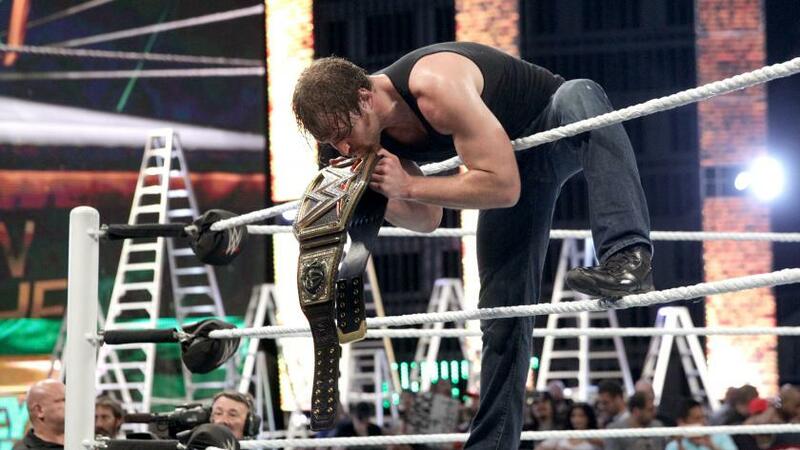 He is already the greatest WWE champion of all time. The people cannot ruin his celebration and hijack his crowning. This is about him celebrating his accomplishment; he celebrates for himself, Punjab & India. He speaks to his people in his language of Punjabi. The segment ends with fireworks. I LOVED IT. It was traditional, colourful, full of culture and different. The biggest thing was that it was different. This was a magnificent presentation for the world of the Indian culture, more specifically the punjabi culture. JBL’s commentary really sold the segment but if you are Indian you’d find some of it kind of funny. Jinder Mahal has real legitimate heat from wrestling fans which only makes him so much better as a heel. Whoever beats him is going to be a hero because of how much people dislike Jinder Mahal. The belt looks right on him and the Singh Brothers have been portraying their roles perfectly. If you dislike them because of their cheesiness, I find that more of a reason to dislike them…which makes them great heels. Great segment and really well done. I’m looking forward to see what happens next. I was surprised there was no Orton to ruin the festivities, because I was really expecting it but I’m really happy Jinder was given this time to get to the crowd to hate him more. – This week we get another dancing Lana promo…coming soon. Before the match gets started, Jey gets on the mic and says they don’t deserve this match because they lost their chance at Backlash. Fandango got on the apron and started squirting him with a water gun. Jey went after him, and Tyler rolled him up from behind for the quick three. LOL this was actually pretty funny. I loved the whole water gun thing, sue me. This one was a little more silly but still funny. I just sort of felt bad for the live crowd because they got like three matches that ended with quick roll ups, if you recall the Sami Zayn/Baron Corbin match. I mean watching at home, I’ll get over it but if I was in the live crowd I’d be kind of disappointed if I went there for some solid wrasslin’. Funny stuff though, that kind of shows there is still potential for Breezango. – After the match, the Fashion Police grab microphones and say it looks like the Usos got caught wearing white after Labor Day, and that is a fashion crime. They challenge the champions to put their titles on the line against a couple of real men, and the Usos freak out and tell the referee to make it official. It’s happening! This match had already started when we came back from commercial break. It was a quick match where the Uso’s retained their tiles by defeating Breezango. The finish happened came when Fandango makes his way to the top but didn’t see Jimmy making a blind tag to Jey. Fandango hit the top rope leg drop on Jey, but Jimmy took him out with a top rope splash and rolled the challenger up for three. This was a lot better than the last two quick single matches involving these participants. It was still fairly short but the fans were invested because it felt like this could a big moment where Breezango overcame the uggos…Usos to become the tag team champions. 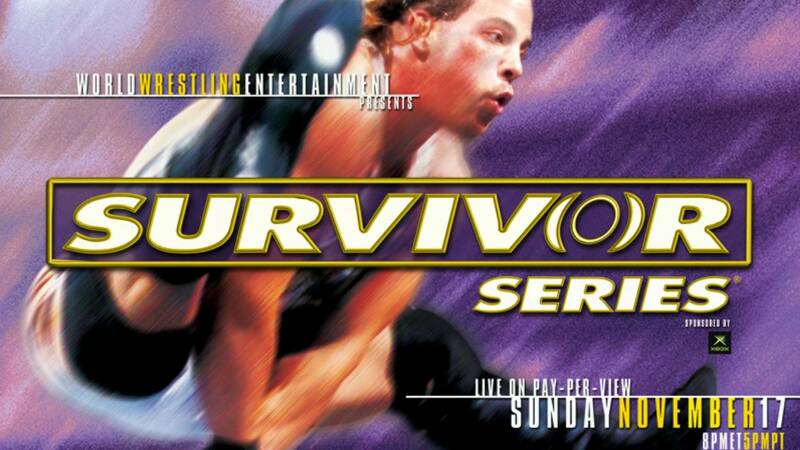 However, that wasn’t the case and The Usos continue their championship reign. I do see them keeping the belts now until their program with the New Day but I don’t wan’t Breezango to be moved back down the card. 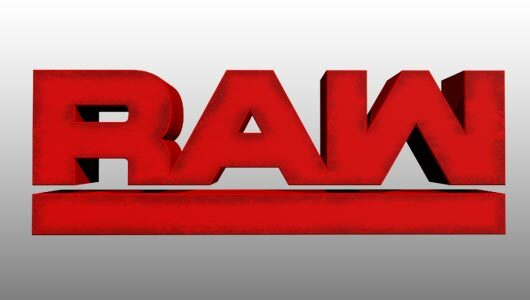 – Shane McMahon is on the phone with someone, and says that the main event is up next. Natalya comes in and asks him for an opportunity at the women’s title. Becky Lynch interrupts and makes her claim to the title as well. Carmella, Tamina Snuka and Charlotte all follow and make their cases to challenge for the belt. Shane announces that next week there will be a Fatal 5-Way match between all of them, with the winner getting a championship match at Money in the Bank. In a lengthy 25 minute match that went back and fourth AJ Styles and Shinsuke Nakamura defeated Kevin Owens and Dolph Ziggler. The finish came when Styles got the hot tag to Nakamura. Shinsuke goes wild on both Owens and Ziggler. Nakamura got some near falls but it breaks down, and finally Nakamura hits Owens with Kinshasa and picks up the win. This was a long match which started off great, got really slow in the middle (HEADLOCK!) and kicked it into higher gear right near the finish. The match wasn’t the most memorable one ever but if it will be remembered for anything it would be for the talent involved in the match. I loved seeing the interactions between the participants. Seeing Owens and Nakamura face off was awesome. Of course, the Styles and Nakamura face off after their match showing respect to each other got everyone hyped for a future Styles and Nakamura match which would be their first in the WWE. I think its either going to be at Summerslam or Wrestlemania 34. This was Nak’s Smackdown debut and the real mother-effin deal picked up the victory by pinning the United States Champion. This was a solid episode of Smackdown and much better than last week. There was no Randy Orton, Rusev, Tye Dillinger or even American Alpha this week but it didn’t cause the show to suffer. The main event wasn’t the greatest but it was cool to watch. Shinsuke really appeared on tonights show like a regular weekly star rathe than a special attraction this week, which was cool. The Money in the Bank ladder match is all set up which means the anticipation for Money in the Bank definitely is real. The Punjabi Championship Celebration was awesome and I really love the heat Jinder is getting. The Modern Day Maharaja really is your old school foreign heel, and it blows my mind that one of the oldest angles in professional wrestling still works the crowd in this modern era. I think everyone should check out the opening segment, The Punjabi Championship Celebration and the main event. I feel like it’s only going to get better the weeks leading to MITB.